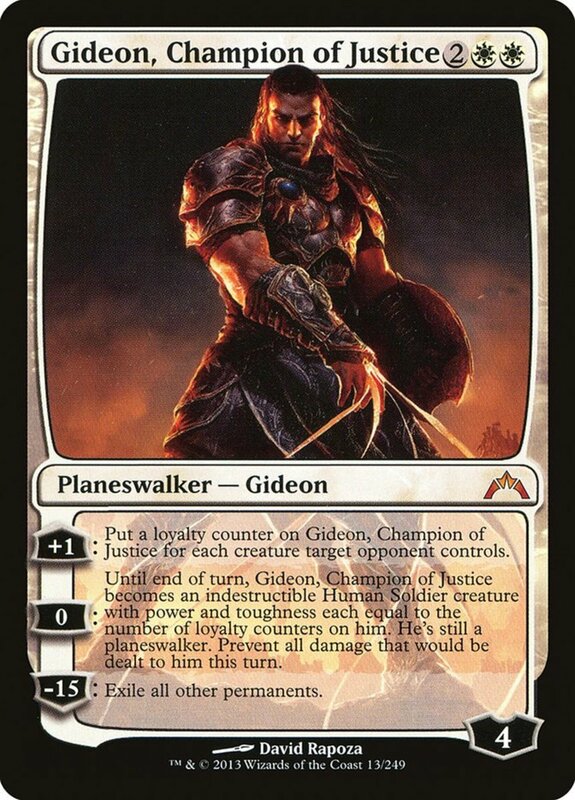 What Are Liege Cards in Magic? 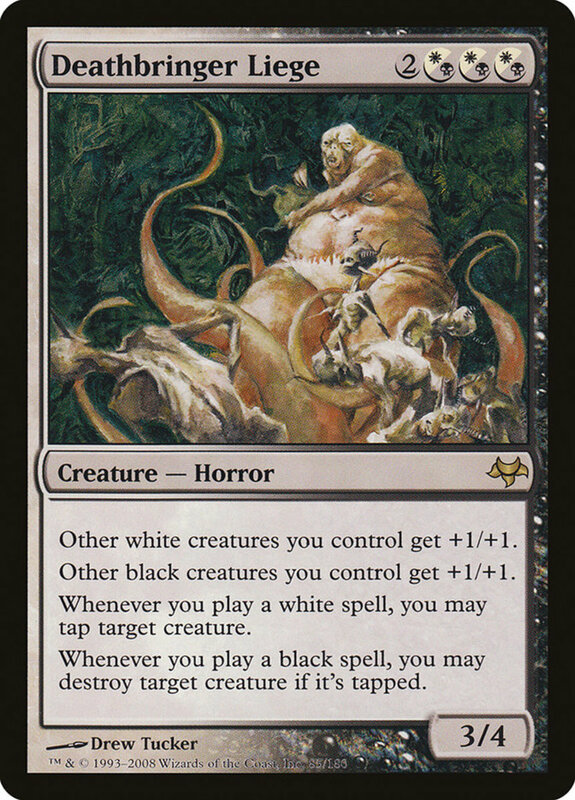 Each two-color pair in Magic possesses its own unique Liege creature. These knight and horror-type monsters cost between 4-6 mana, accept resources from either of their two colors, and fortify your other troops that possess those colors. 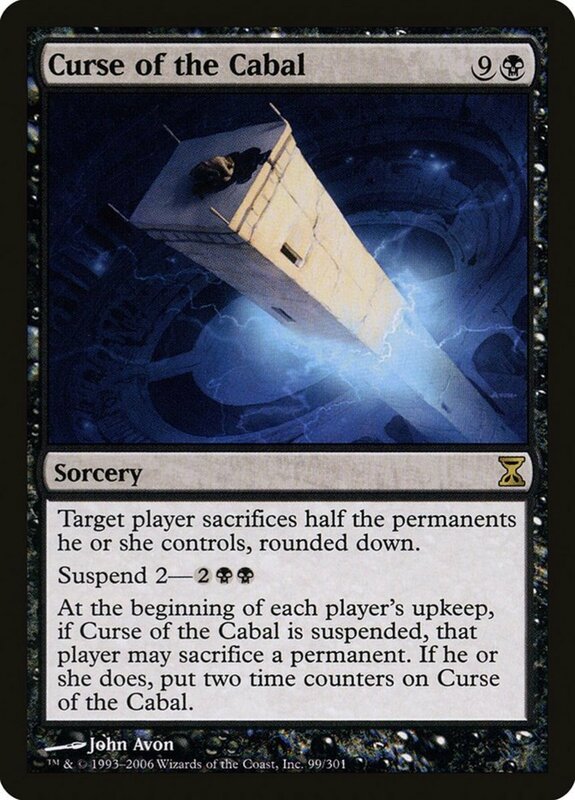 Additionally, several wield effects that reward you for casting same-colored spells. Thus, Lieges are powerful tools in multi-color decks and a surprisingly competent set; even their worst members are far from bad. But with exactly ten potential duos available, which beasts reign supreme? These are the ten best Liege creatures in Magic: The Gathering! Like his peers, Thistledown accepts mana from either of his types (white and blue), and is rather weak at just 1/3. 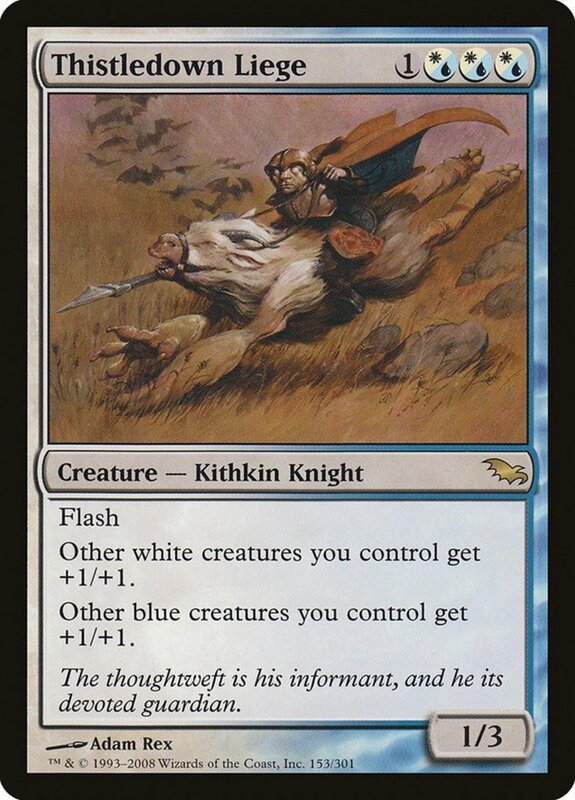 However, he boosts the power and toughness of your other white and blue creatures by +1/+1, and if a unit possesses both colors, they'll get +2/+2! That's a substantial increase, especially when you're swarming white's soldier or cat tokens. Additionally, Thistledown bears the rare flash trait, letting you cast him at instant speed—use this after blockers have been declared to lock your foe into clashes they'll now lose. Glen is slightly stronger than Thistledown at 2/3, but that's still an underwhelming score for a four-cost unit. 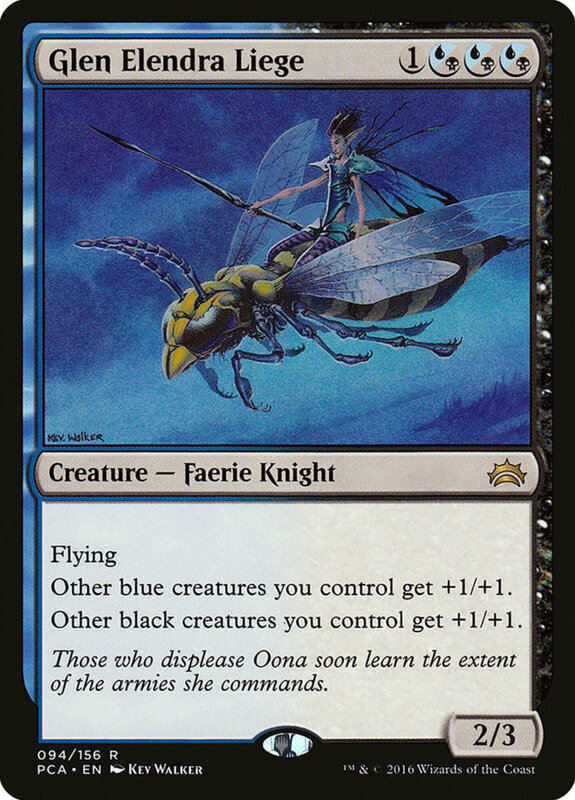 Nonetheless, she offers your other black and blue creatures +1/+1, and her flying trait lets her soar over ground blockers. She also wields better subtypes than most Lieges, blending well with faerie-based effects (common in blue and black). Ashenmoor carries divisive stats, wielding a solid power of four yet only a single toughness. Thankfully, he discourages opposing spells by reducing the life of any adversary who targets him by four. A handy defense, but note that he'll still fall easily in battle, so plan your attacks carefully. 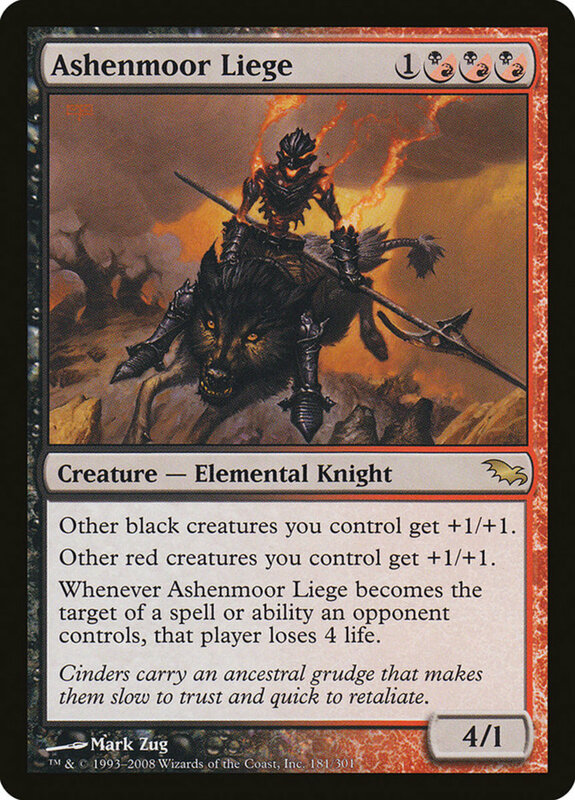 Of course, like other Lieges, Ashenmoor energizes his allies, buffing your other red and black creatures by +1/+1, an appreciated bonus for your dragons and demons. Mindwrack demands the most mana of any Liege, and his 4/4 stats are only decent considering. Plus, unlike many dual-subtyped Lieges, he only has one lineage (horror), offering few synergies. 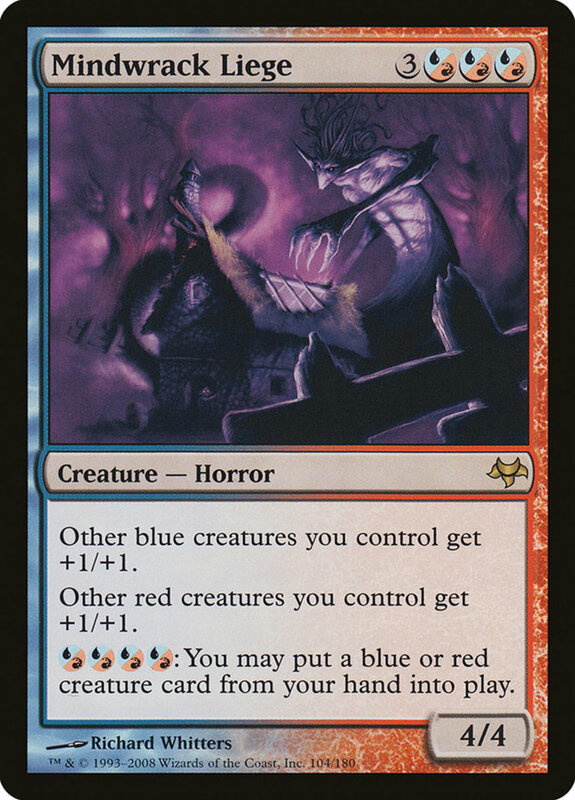 However, he empowers allied blue and red creatures by +1/+1, and by spending four red/blue mana, he can place a blue or red creature from your hand into play, offering a fierce discount for your strongest aces. Remember you can use this ability at any time, and it works with multi-color units as long as they're at least partially red or blue. For his cost, Boartusk's stats are a surprisingly-respectable 3/4, and he carries trample, bleeding excess damage through blockers. 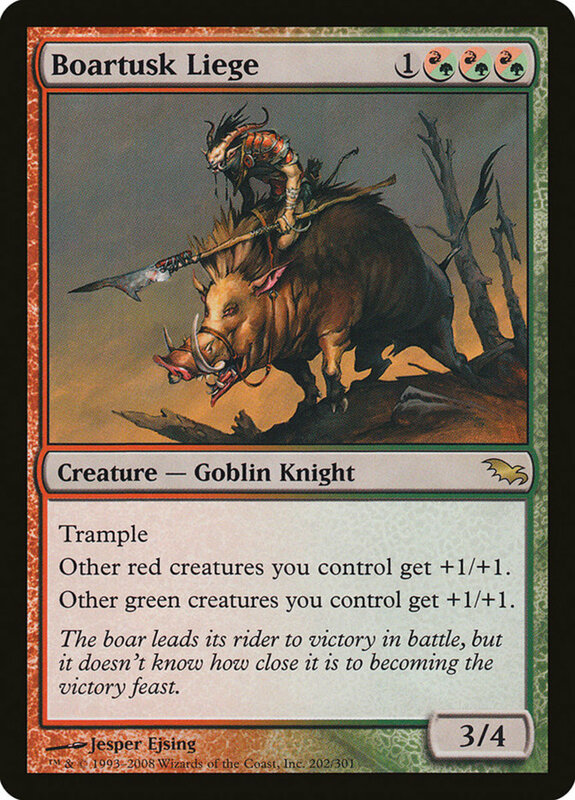 Additionally, your other red and green creatures receive their usual +1/+1 boost, or +2/+2 if they possess both hues. 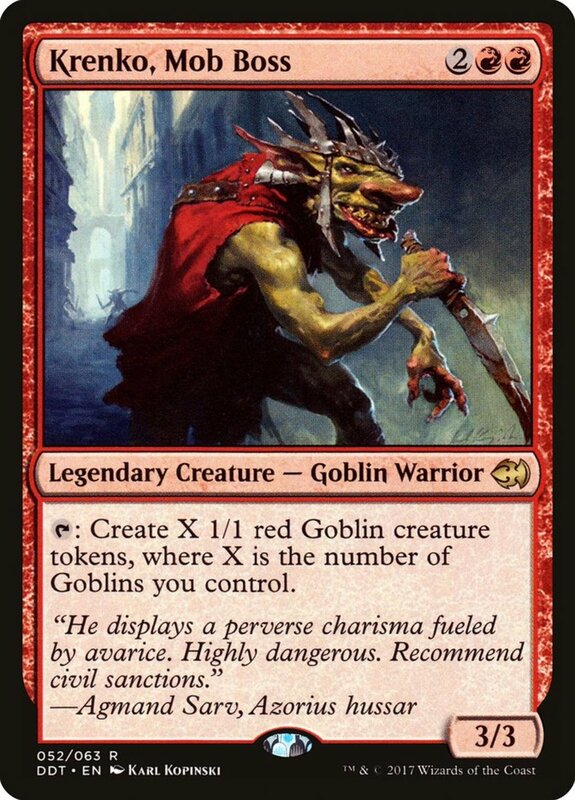 Beyond that, Liege enjoys the handy goblin subtype (plus knight for good measure), adeptly comboing with red's most abundant faction. Wilt-Leaf wields arguably the worst unique bonus of all Lieges—she enters the field rather than graveyard if an opposing effect discards her. Handy when it activates (often against black decks), but too situational to count on. However, she's the strongest Liege with a sturdy 4/4, and her elf subtype empowers green's numerous forest-dwelling creatures. 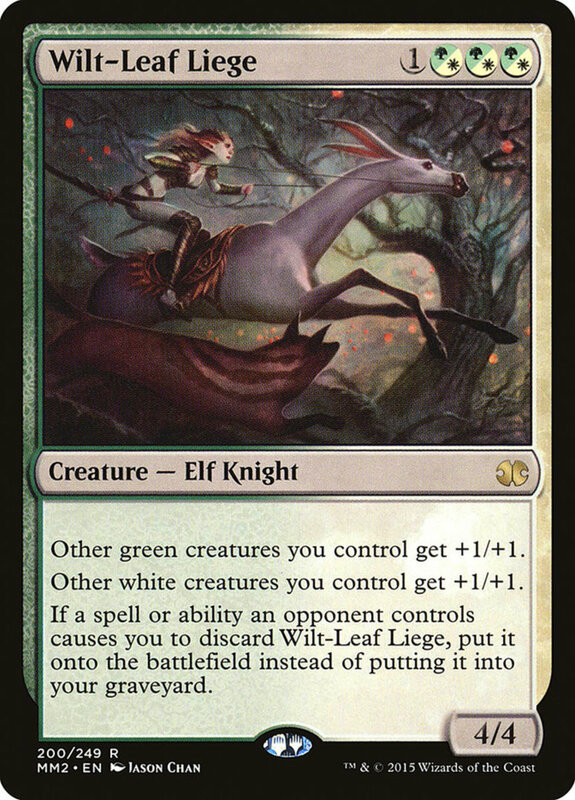 Due to their competitive status and rarity, Lieges often carry double digit prices; Wilt-Leaf's comparatively cheap fee renders her a frequent member of my own green/white commander decks, costing well under four dollars! 2/4 stats are disappointing for a five-cost titan, but Balefire compensates with his passive +1/+1 boost to your other red and white creatures. 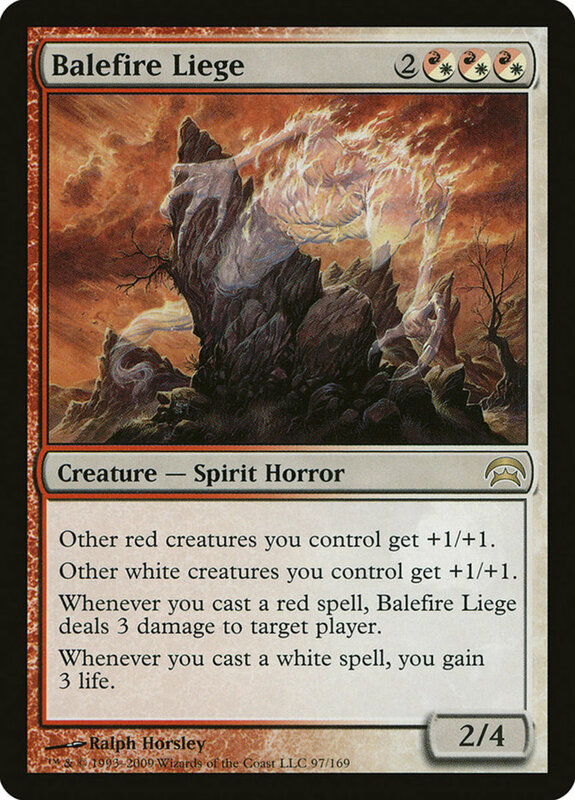 Additionally, whenever you cast a red spell, Balefire hits a player for three damage, and when you cast a white, you receive three life. 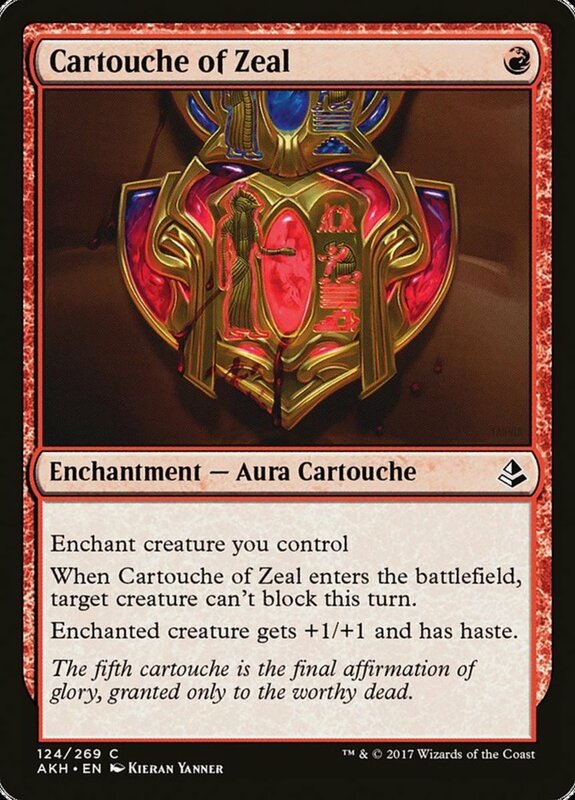 Like the battle bonuses, these effects stack if a spell has both colors; barrage rivals with red/white duos to rapidly chip away at their life while replenishing your own. 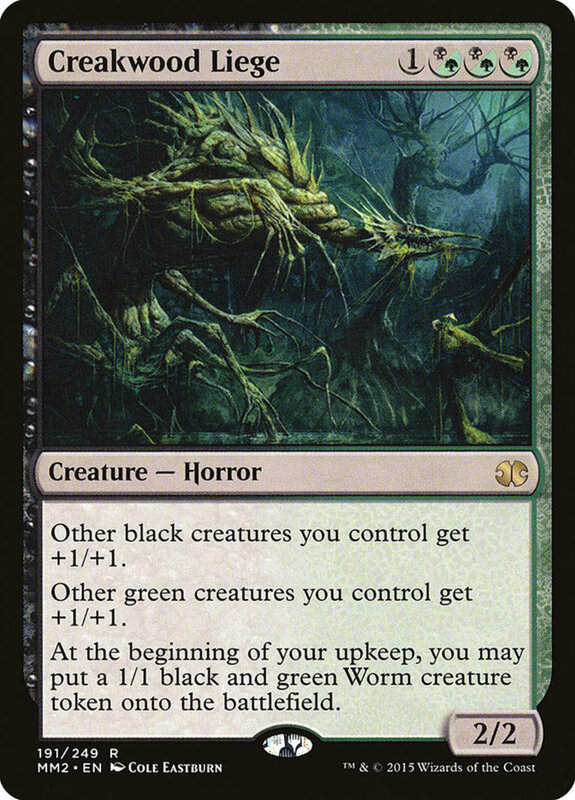 Even for a Liege, Creakwood is particularly frail at 2/2, but you'll hardly notice since he creates a 1/1 black and green worm token during your upkeep steps. 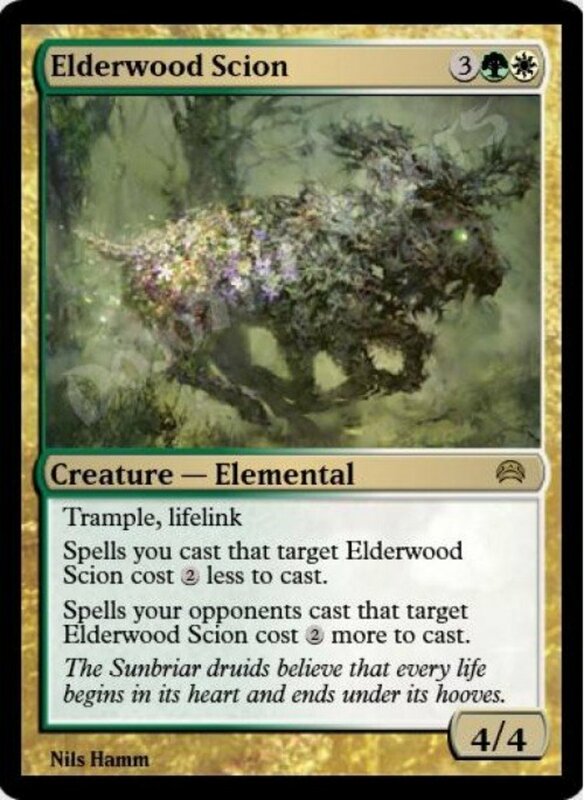 Of course, with Creakwood's continuous buffs, these tokens will serve as 3/3s while their master lives, granting a continuous army of fortified minions. Any of your other corresponding monsters will benefit as well, overwhelming foes with your martial prowess. Like today's other top cards, Liege only carries the rarely utilized horror subtype. However, his stats are a respectable 4/4 and he advances your other green/blue warriors by +1/+1. 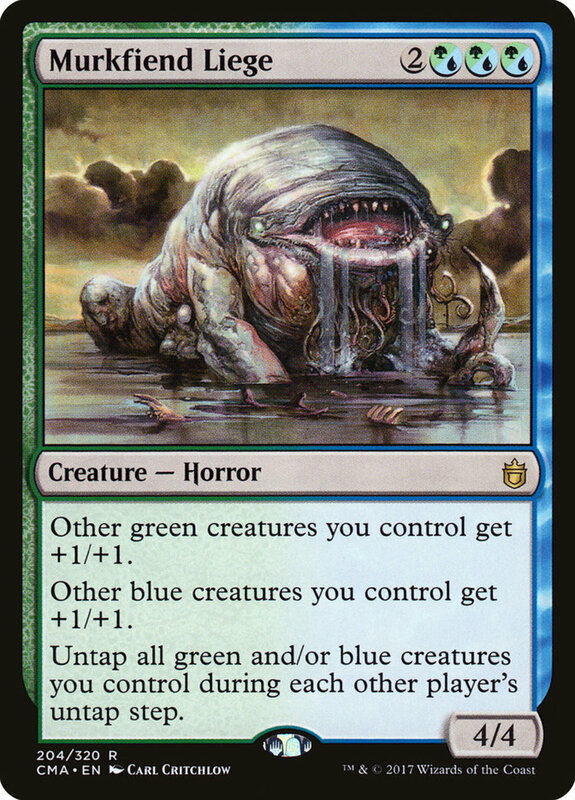 Better yet, Liege automatically untaps all green/blue creatures you control (including himself) during other players' upkeeps, a great way to refresh blockers and recharge mana-tappers for blue's vast array of instant counterspells. Liege's stats aren't amazing at 3/4, and he's lacking any useful subtypes, but he offers two excellent abilities in addition to his white/black creature boosts. 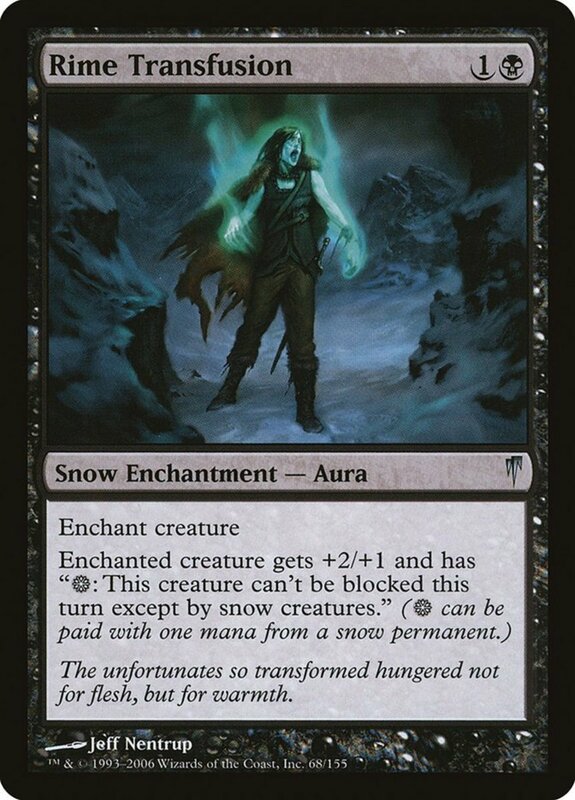 Whenever you cast a white spell, Liege can tap a creature, and when you cast a black, he can destroy a tapped creature. By properly ordering the effects on the stack, this lets you destroy any creature when you cast a black/white blend, a lethal and reusable removal for any Orzhov structure. In addition to today's multi-colored aces, mono-color spells like "Liege of the Pit" share the Liege name, though these coincidental monsters carry little resemblance. But for two-color themes, few cards empower your troops like traditional Lieges, especially when your soldiers carry both colors and gain the maximum benefit. Not many groups have such an elite status, with Lieges ranging from decent to outstanding, and I look forward to potential three-color members in future sets. 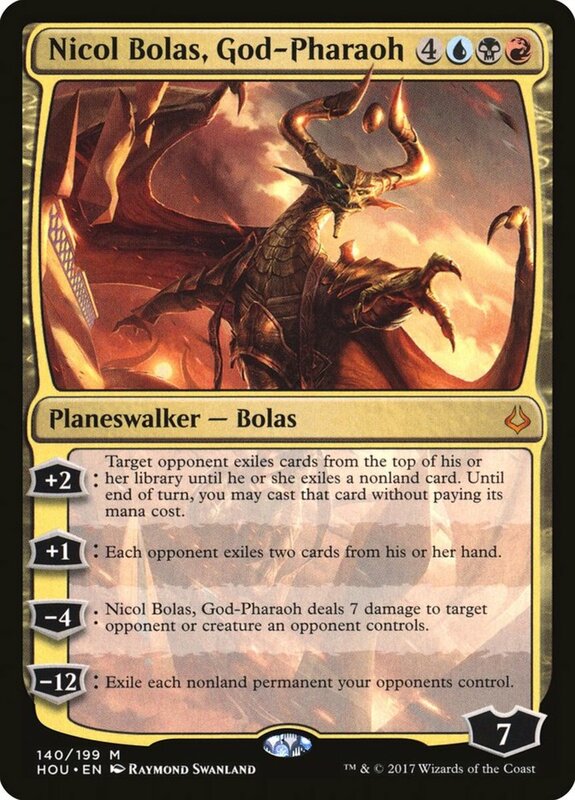 But for now, as we eagerly await Wizards of the Coast's next expansion of color-pairing creatures, vote for your favorite card and I'll see you at our next MTG countdown!